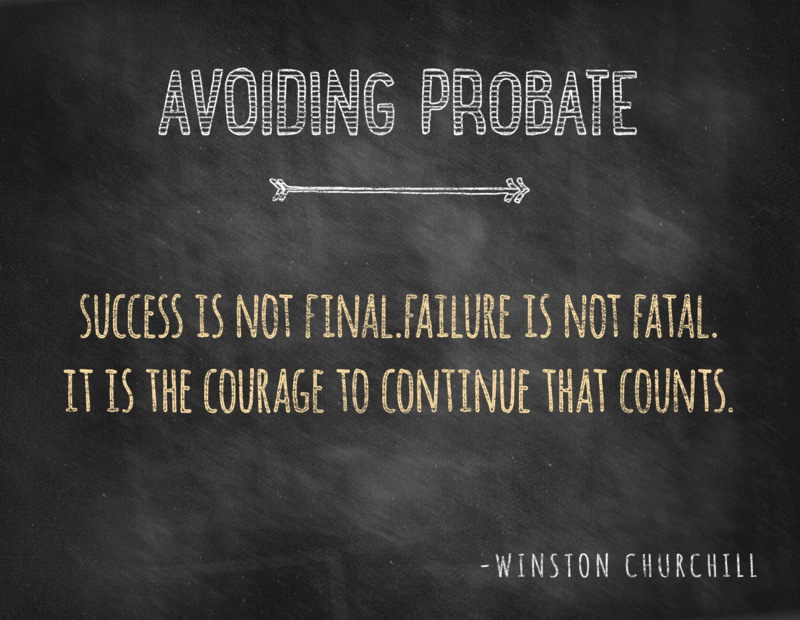 Thus, avoiding probate means not having anything pass under the last will and testament. If an individual can accomplish this, then he or she will not need to file any documentation with the probate court at all. By not having anything pass under the will, no records need to be filed, no personal representative is required, no files must be accounted or placed in inventory, and no probate court fees have to be paid. One of the biggest problems associated with probate is the length of time required to administer the estate. Because the overall trend is toward less lengthy probate administrations, many clients wish to pursue alternative estate planning devices that can accomplish the same goal as probate but in a more timely manner. 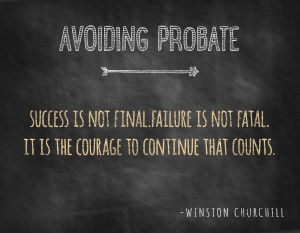 Avoiding probate is most commonly done through the execution of a revocable trust. A revocable trust certainly poses the added benefit of not requiring probate costs and court delays while still effectively allocating estate property and assets. Not all delays will be avoided, however. In some cases, a greater length of time will be required to clear the tax-related issues when the assets are held in a revocable trust. Our Charleston estate planning attorneys provide legal counsel to our clients to evaluate the potential advantages of avoiding probate and understanding when circumstances warrant the use of a revocable trust. An important advantage to avoiding probate through a revocable trust is that this method generally saves money by avoiding professional fees, court fess, expenses of the personal representative, attorney fees and accountant costs. Probate delays often result from the appointment of the estate fiduciary and the successor trustee, the payment of debts, and the payment of administration expenses. The revocable living trust expedites the appointment process since no court procedures are necessary for the selection of a trustee or successors. Whereas the funding of a testamentary trust may only be done after debts, claims and administration expenses are paid, a revocable trust may be funded without these constraints. Avoiding probate through a revocable trust also can be valuable through savings of professional fees and expenses. Sometimes the savings of a revocable trust though may not make the option less expensive than a will. 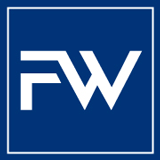 The South Carolina estate planning attorneys fees for constructing a will should be factored in the cost and compared with the fees needed to draft a revocable trust. Typically, a revocable trust is a more complex legal document than a simple will, so the structuring of a proper revocable trust could require more legal expenses in many cases. Our Charleston probate attorneys will examine the benefits and costs of revocable trusts and last wills and testaments to ensure our clients that all options for estate disposition are explored, examined and carefully chosen.